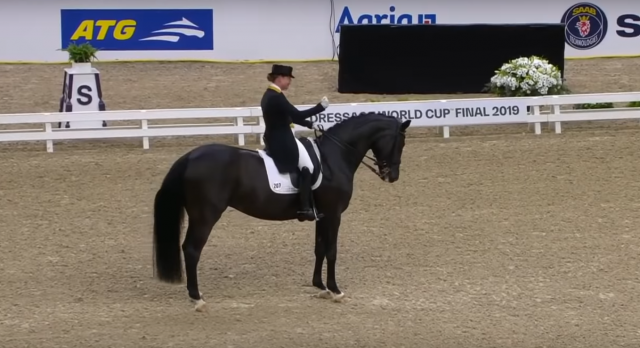 The reigning queen of dressage continued in her winning ways at the FEI World Cup championships in dressage in Gothenburg, Sweden. Watch the highlights from her winning test! Her obvious joy is infectious, as indicated by the crowd clapping along and getting to its feet in her honor. Congratulations, Isabell!